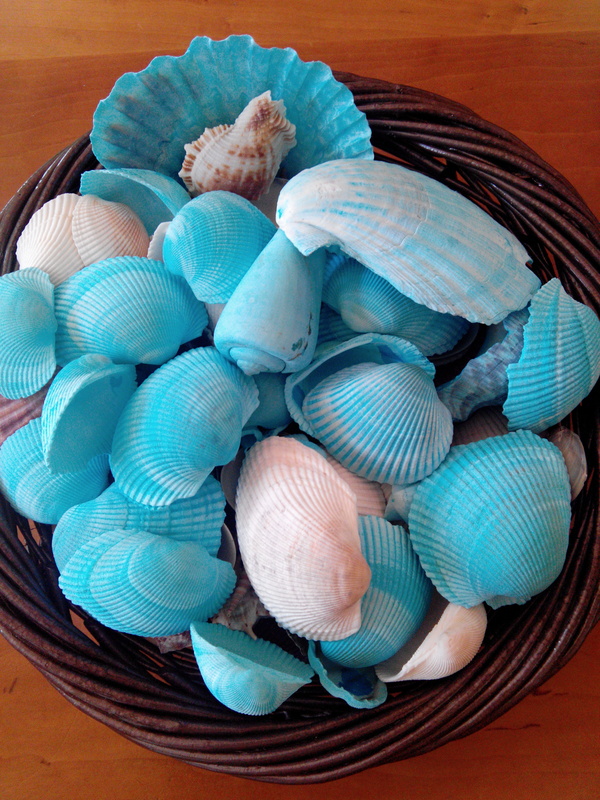 I happen to have several bottles of my favorite RIT color, Aquamarine, sitting around and I did this quick dye job on some white sea shells. I did this on the stove top with hot, not boiling water, with about 1/2 cup vinegar. I just threw the shells in and filled enough water to cover them about 1/2 inch and poured in some dye. I didn’t measure any of it. I stirred them around until desired color and then put them on a few paper towels to dry. It was a simple and fast project I did while bored. 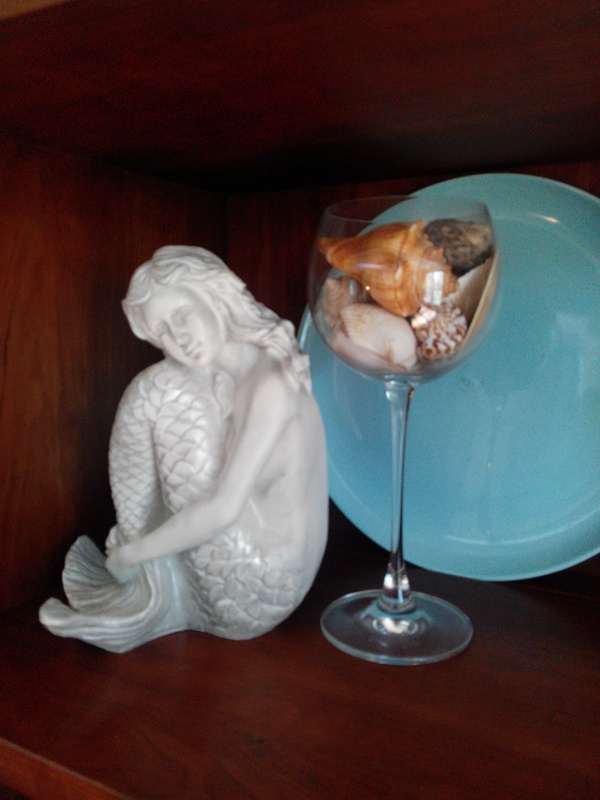 I am also including a photo of my favorite mermaid sitting next to some natural sea shells. This entry was posted in Decor, DIY, Photography and tagged Decor, Dyed, Dyed Home Decor, Home Decor. Bookmark the permalink. This DIY may be the perfect touch for our wedding centerpieces! I’ll have to give it a try.